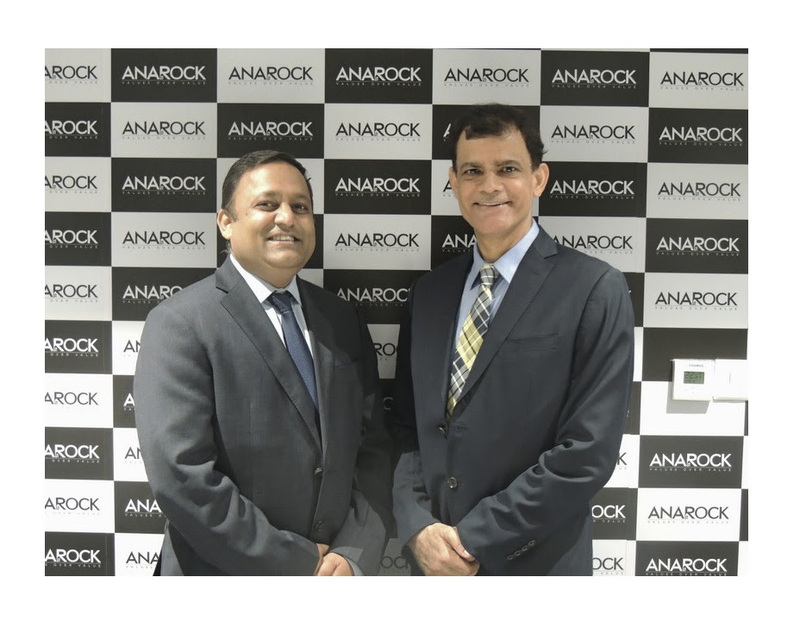 Anuj Puri, Chairman - ANAROCK Property Consultants and Shobhit Agarwal, MD & CEO - ANB Capital Advisors today announced the formal merger of ANB Capital with the ANAROCK Group to create ANAROCK Capital, which Shobhit Agarwal will head as MD & CEO. The ANAROCK Group’s residential services division has already defined itself as India's leading, fastest-growing and most disruptive consultancy in the industry. With the addition of the Capital Markets vertical, ANAROCK takes a major step forward towards its ambitious expansion plans. "The Indian real estate market is in its next evolutionary stage, and perfectly primed for ANAROCK Capital," says Anuj Puri. "The firm will fill the massive real estate investment banking advisory gap that exists in a market completely redefined by RERA in terms of how the market operates and who will operate it going forward. Among several other functions, ANAROCK Capital will advise on big-ticket funding, acquisition and consolidation mandates. Shobhit's vast experience and deep-rooted industry relationships will come into play with immediate effect. I take particular pride in announcing the second merger of equals in my professional life - and more are to follow." Shobhit Agarwal has been a prominent deal-maker in Indian real estate capital markets for over two decades and looks forward to taking the massive stakes involved to the next level. "Our capital markets team consists of well-honed industry experts who are adept at handling multimillion-dollar capital mandates" says Agarwal, who has already traded capital in excess of US$ 10 billion in his previous assignments. "Leveraging the ANAROCK Group's tremendous market penetration and superb operational infrastructure with 10 operational offices in India and 1 in Dubai, ANAROCK Capital will lead the real estate investment banking business from the front. There is over US$ 150 billion of capital to be traded in Indian real estate over the next 5 years - and with our collective expertise, existing exposure and resources, we are perfectly poised to capture a major share of it. " Building on ANB Capital's existing strengths and expertise, ANAROCK Capital will provide services in real estate investment banking, financial management of big-ticket mergers, acquisitions and restructurings. The firm already provides capital advisory services to some of the country's leading corporations, institutions and state governments, based on a unique business model that eliminates the conflicts of interest inherent to large, multi-product financial institutions and multi-vertical international property consultants.